Shifnal Cycling Society: Rule #9 Commuting – More Smiles than Miles! To me, without doubt the finest feature of the bicycle is its versatility, and weeks like the one we’ve just had illustrate this perfectly. A week of snow and ice have made cycling on the road a pretty unpalatable prospect, so it’s been time to call the Mountain Bike into service for commuter duties. And what a fun week it’s been. Granted it means I have to plan things more carefully owing to its lack of carrying capacity, but the trade off is the ability to spice up the mundane commute with a bit of singletrack. On more than one occasion this week the prospect of yet another dull early(ish) morning meeting has come second to seeing where that trail leads. I’ve even managed to ride trails for the first time this week as well as re-discovering some old favourites. Off road commuting in this weather also makes you much more aware of how the conditions change from day to day. If you use a tin box to get to work, it’s all been one long round of de-icing cars and moaning about how cold it is. However for the cycle commuter we’ve seen how fresh snow has given way to slush, and then to ice. All these subtle changes making the challenge of the commute slightly different each day. 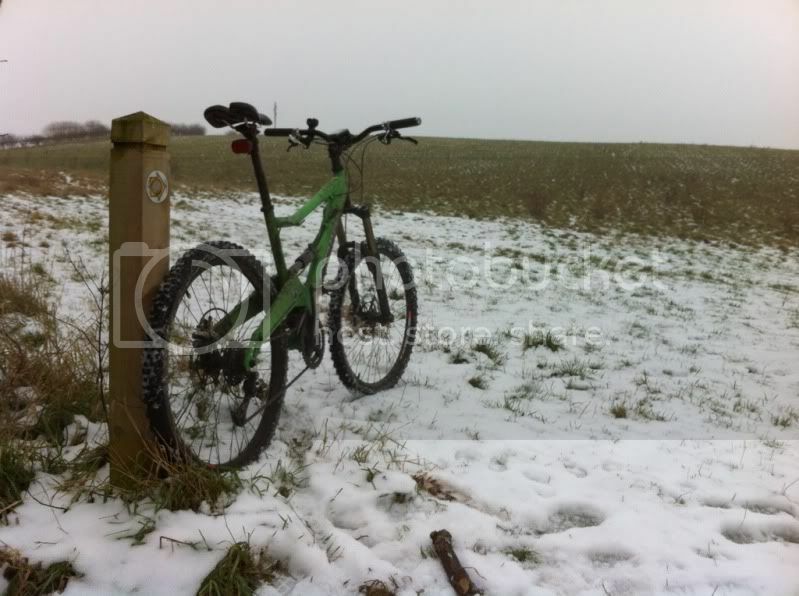 I especially enjoy the way that the conditions this time of year dictate the way you ride. The hard packed icy paths call for smooth inputs and spinny, low torque gears, whilst the snow offers massive grip levels at the expense of pretty serious drag. So, all in all while the mileage has suffered this week, the grin factor more than made up for it.